The avocado fruit has one similarity to the tomato or the banana. All of those fruits become more tasty, after they are harvested. The avocado does become more ripe, when it can rest for a few days in the warm room. The hard avocado does become more soft, after a few days in the warm room. It is possible to cook with the hard avocado, but it is much more easy to cook the avocado, when it is soft and more practical to mix with other ingredients. The avocado can become very tasty in the combination with garlic, cheese, and tomato. The fat of the avocado can increase the taste of the spices. The avocado can be cooked with sugar and chocolate too. There are almost no limits to this tasty fruit. In the past, the avocado was very expensive, because it was only possible to grow the avocado fruit in the hot climate. The modern avocado tree is more durable. The modern avocado can grow in the different parts of the world. The availability of the avocado fruit is more affordable to all of us. Sometimes the shops sell the avocado fruit for a very high price. Sometimes there are good offers for the hard avocado, which is good, because the hard avocado can become soft at home and we can save money. The secret power of the avocado is in it's fat. The fat of the avocado can make everything to be more tasty. The fat of the avocado is very healthy. It is good for the brain and the mental power. The good fat of the avocado can clean out the bad trash that is hiding in our body. 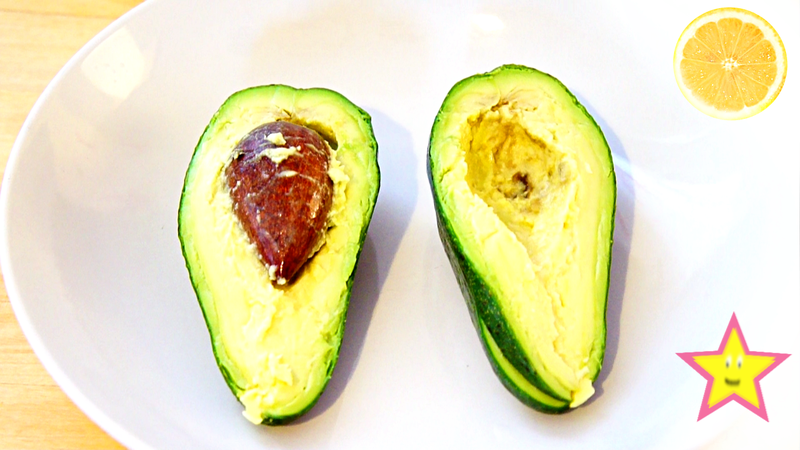 The fat of the avocado is also very useful for the skin. Many women use the soft avocado on their face. The fat from the avocado helps the skin to be stronger and more protected from the daily washing, the sun, the cold air or the wind. The avocado is a good plant that is helping us to be more healthy and strong. We can be very happy about that. The seed of the avocado is very useful too. It is possible to use the large seed for the decoration. It is possible to grow the seed of the avocado at home. Many children collect the avocado seeds. They put the seeds into the water. The avocado seed can start to grow the roots and leaves without any additional help. The avocado seed is the perfect toy for the children who want to grow their own plants. The guacamole is the most famous dish with the avocado fruit. The guacamole dip is traditionally made by mixing ripe avocados with salt, tomato, onion, garlic, peas, a lemon or one spoon of vinegar, chili or pepper, coriander or basil, and cheese or mashed beans. There are many different version of the guacamole. Different people like the different things in their guacamole, and there are probably millions of different versions of this tasty food. It is possible to mix a very tasty chocolate cream with the avocado. The basic ingredients are: mashed avocado, cacao powder, coconut powder, one spoon of butter, a small spoon of sugar or honey. This version of the chocolate is more healthy and better for the preparation of the cake. The good cooks can create a very healthy cake with the help of avocado. It is also possible to drink the avocado as the juice or as a tasty cocktail. The milk and sugar, or just ice cream can create a very tasty combination with the avocado fruit. The green and the yellow color of the avocado can be very cheerful and it can be a good drink for the customers who can pay more, when they are happy. Some people like to mix the avocado with their orange juice. It is possible, but not all people like it. Some people like to mix the avocado with milk. It's an interesting combination. The avocado with honey, chocolate and vanilla are the best friends in a cocktail. The taste of the vanilla and the sugar can make this wonderful fruit to be as tasty as the sweet smile of the first love on a sunny day. We can be very happy that this wonderful fruit is part of our world.